A career in nursing has a profound impact on people's lives. 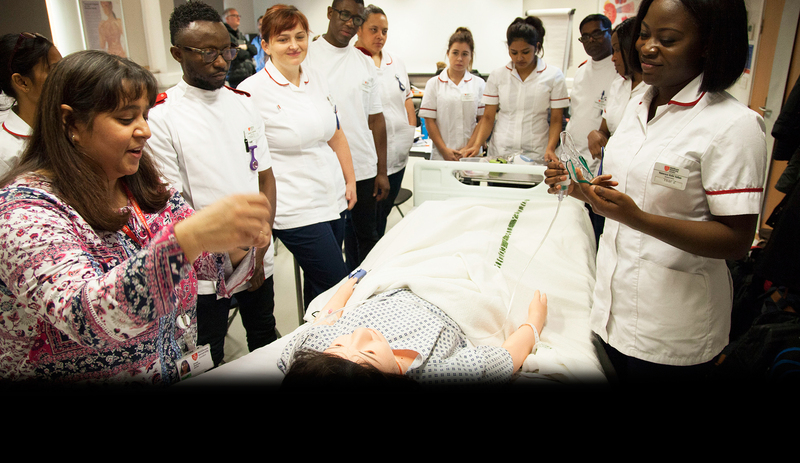 Our cutting-edge degree enables you to shape a career at the forefront of the nursing profession, mixing expert teaching and outstanding student support with placements at some of London's premier hospitals. 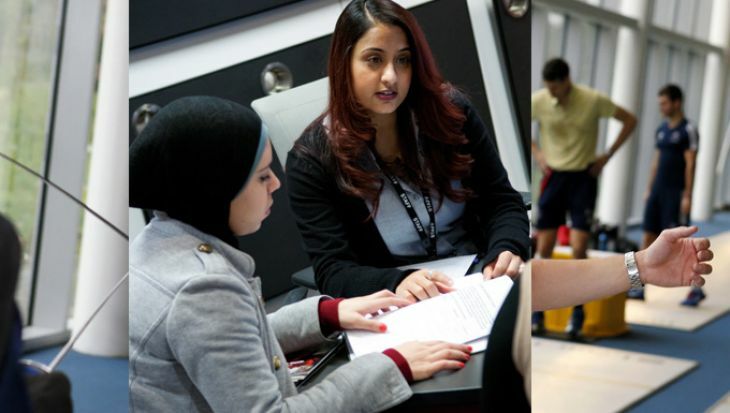 Why study BSc Nursing (Adult) at Middlesex University? Our course is developed in partnership with NHS trusts so 50% of study time is spent on placement in our partner hospitals which include many of London's most prestigious institutions. You will learn a range of essential nursing skills and techniques to effectively care for adult patients in a variety of healthcare environments, building on your skills, regardless of background, to make a difference to others' lives when they need it most. We are seeking students with the right acumen, who can show care, compassion and courage, and demonstrate commitment to a nursing career, coupled with excellent communication skills. I've been so fortunate to have such brilliant and experienced lecturers. I'm proud of choosing a nursing degree and I'm proud of being a Middlesex student. We have been nominated in five categories at the prestigious Student Nursing Times Awards 2019, in a record year for entries to the competition. What will you study on the BSc Nursing (Adult)? You will learn a range of essential nursing skills and techniques to effectively care for adult patients in a variety of healthcare environments. Problem solving and making critical decisions will become second nature, and you will become confident working collaboratively in teams; ensuring you are able to assess, plan and implement adult care effectively. You will develop a detailed understanding of the on-going development of nursing as a profession and be confident in contributing to the debate about its future. You will become an independent, self-motivated practitioner, able to reflect on your practice and adopt a critical and analytical approach to the care of adult patients. To equip students to develop their self-awareness through critically reflective activities. To encourage a broad understanding of the context and complexity of the health and social care issues that students may encounter in their learning journeys and professional careers. This module aims to provide the student with a foundation to enable the development of appropriate professional attitudes, values, knowledge, skills and conduct to be a graduate adult nurse. This module will introduce and expand on the scientific principles underpinning nursing practice. This module is comprehensive and introduces principles which draw on scientific areas of biopsychosocial and behavioural sciences as related to all areas of adult nursing. Students will be able to demonstrate knowledge and skills in meeting the fundamental care needs of people across their lifespan, with a range of physical, mental, cognitive and behavioural health challenges. The students shall demonstrate high standards of professional conduct in line with the NMC code in all aspects of their practice and be able to carry out a range of procedures, under supervision, that are expected of them at this level, in a variety of health and social care settings. This module aims to start developing the role and function of the graduate adult nurse in health and illness. It will provide the fundamental nursing knowledge required to undertake basic nursing assessment, support and enable people across different life spans in managing and improving physical and mental health, as well as preventing ill health. Theories, evidence and models to support the art and science of nursing will be introduced to develop knowledge and understanding about the nature of adult nursing, the person, health, society and the environment. To support students to develop their self-awareness through critically reflective activities, gain competence in evaluating their own learning needs and plan to address them. To scaffold student learners with tools to develop their professional presentation and expand their interpersonal and communication skills with increased independence. To provide students with an opportunity to develop in-depth knowledge of a subject of their choice and to encourage a broader understanding of the context and complexity of current health and social care. The module aims to enable students to develop their professional knowledge in Adult nursing practice. They will be facilitated to build on theoretical knowledge to enhance clinical and professional judgements with awareness/sensitivity applicable to the wider perspective of health and social care economies. This module will build upon the scientific module of year 1 to further develop principles and deepen the knowledge and application to adult nursing. This module aims to develop the knowledge and skills required of the graduate adult nurse to assess, plan and evaluate care across the lifespan during illness that is person centred and evidence-based. It will focus on interventions to address physical, cognitive, mental, spiritual, behavioural and social health needs during illness. Students will demonstrate the relevant knowledge and skills to meet more complex care needs of people across the lifespan with a range of physical, mental, cognitive and behavioural health challenges, across a range health and social care settings in line with the new standards of proficiency. The students will be expected to demonstrate increasing independence in their own filed of adult health practice whilst maintaining high standards of professional conduct in line with the NMC Code, showing awareness of the implications of the Code for self and others. The module aims to build upon and consolidate knowledge and skills to manage and lead as an accountable, responsible, emotionally intelligent registered adult nurse within health and social care environments. The module will facilitate critical examination of key concepts and theories of effective leadership and management. This module will build upon the scientific module of year 2 to consolidate scientific principles and deepen the knowledge and application. It also aims to extend knowledge and application of pharmacological principles especially as to underpin nursing care within the adult field of practice and future potential prescribing practice. The aim of this module is to enable the student to critically engage with the coordination and management of care delivery for those individuals who are severely ill with life-threatening or limiting illness, or have complex physical/mental health needs requiring long-term care in a range of healthcare settings, working in partnership with the individual, their families where relevant and the multi-disciplinary team to evaluate whether the care is effective and meets desired outcomes. It will focus on encouraging the student to build on prior learning in relation to critically applying adult nursing knowledge, evidence/research and the adult nursing process in the planning and co-ordination of care for the individual with complex needs. Students will be able to demonstrate the ability to work autonomously in the adult field of practice caring for all people across the lifespan with a range of physical, mental, cognitive and behavioural challenges. The student will display advanced clinical skills and have the ability to integrate leadership in all aspects of care management. Students will utilise a critical and reflective approach in delivering high standards of professional conduct in line with the NMC Code as part of a multi-disciplinary team. How is the BSc Nursing (Adult) taught? Emphasis is placed throughout the course on the development of practical skills, and the course is split equally between theory and practice. By the end of the course, you will have completed 2,300 hours of clinical training. You will attend lectures, seminars, laboratory sessions and tutorials, and will work on problem-solving exercises, case studies and written assignments. You will take part in seminar discussions and do some work in groups. You will supplement all this with online learning and your own independent study and reading. We work in partnership with practice placement providers to ensure that the practice learning environment is conducive to meeting the individual learning needs of the student and a robust process of quality monitoring of the learning environment is in place. Each practice area has an allocated link lecturer and practice placement information to further support clinical learning. Students are expected to work with their assigned mentor/assessor two to three times per week. Our Specialist Placement Department and London location ensure that every year our students and graduates gain prestigious placement opportunities. Assessment is through exams, practical assessments and coursework, including a dissertation, your portfolio, reports, care plans, drug calculations, individual and group presentations, online assessments and learning logbooks. You will be taught through a combination of Lectures, Seminars, skills based practicals, demonstrations and practice based learning/placements. Practice based learning amounts to 50% of the entire programme and students must complete a set amount of hours to meet the Professional Body’s clinical criteria for professional registration. Lecturer-led sessions will allow you to gain and develop knowledge in your subject area and this will be supported by a range of practice- based activities, at University and in a practice environment, and smaller seminar or similar groups that will help you develop and engage with your understanding of topics covered in taught sessions. You will be divided into smaller groups of approximately 30-35 students per seminar group. Seminar topics range from skills rehearsal following lead lectures in anatomy and physiology to reflective, interactive, problem based learning addressing the assessment and nursing management of children young people and their families. In addition, you will be supported by our personal tutor arrangements and be able to seek module leader guidance by appointment. You will also have access to and use resources to support your learning including; access to My Learning on Unihub where module content is found, along with pre and post session learning activities (including on-line quizzes, student discussion boards, recommended reading, podcasts), Kortext e-books, Virtual Case Creator (VCC) to support practice learning, and experienced clinicians, mentors and practice link lecturers to support you throughout your course. 2 hours for personal professional development 1 session per semester (x 3 sessions per academic year). The course will provide you with opportunities to test your knowledge and understanding informally through ‘formative’ assessment. Formative assessment for this course is provided through essay plans, e-learning log plans, e-numeracy and anatomy and physiology quizzes, poster presentations, group presentations, e-workbooks, mock exam, mock job interviews and practice OSCES-(Objective Structured Clinical Exam) which will provide feedback to support you towards the formal ‘summative’ assessment. (Formative assessments are developmental and any grade you receive from formative assessment does not count towards your final marks). The formal ‘summative’ assessment usually occurs towards the end of the module, although there may be periodic assessments that contribute to your final mark for that module. 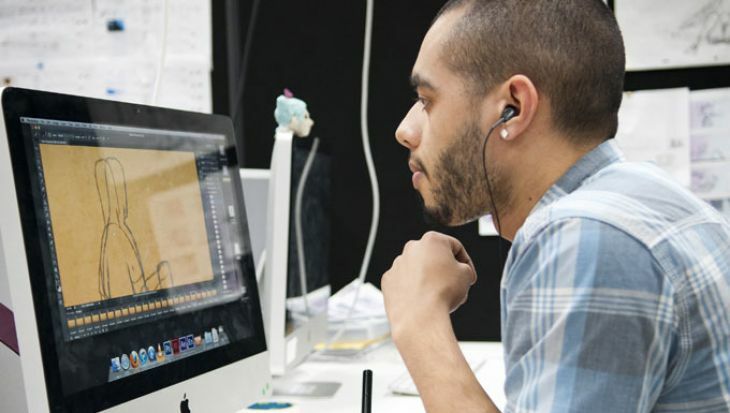 Assessment methods could include written examinations, a range of coursework including essays, reports, portfolios, your main final year project, practice based assessment tools, and practical sessions including performance, presentations or lab based exams. The grades from the summative assessments count towards your module mark. Assessments are reviewed annually and may be updated based on student feedback, to suit content or based on feedback from an external examiner. We maintain strong partnership relationships with NHS and independent health and social care organisations so that you’ll have access to excellent placement opportunities as a nursing or midwifery student. We have approximately 500 pre-registration students out on placement at any one time, with over 400 placements being utilised. In addition to students accessing a range of placements in the London region we have excellent partnerships with European Universities and you will be offered opportunities to undertake a period of exchange (depending on availability). These include placements in Finland, Malta, Denmark, Portugal, Spain and Belgium. To find out more, please view our study abroad pages. Before you apply, see if nursing is the right choice for you. We have listed some of the personal qualities we expect our nursing students to demonstrate both at interview and throughout the course. Please note that we can only accept your application for consideration if you have already obtained your GCSE (or equivalent) Maths and English at the appropriate level prior to applying. We also accept functional skills or key skills and equivalency tests by Equivalency Testing, A Star Teachers or any other appropriately accredited provider. We are unable to accept applications for deferred entry or defer existing offers for this programme to the next possible start date. Applicants must be digitally literate as all recruitment processes and many teaching and learning activities within the programme involve the use of technology and digital processes, reflecting the realities of healthcare practice. 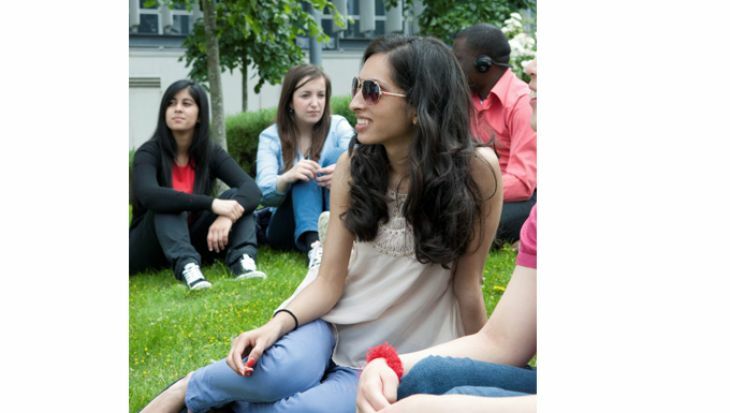 UK/EU and international students are eligible to apply for this course. However, we will not be able to support international students who require a Tier 4 Student Visa. Due to restrictions placed on students with a Tier 4 visa undertaking part-time study by the UKVI, courses requiring a placement cannot be studied by International students. 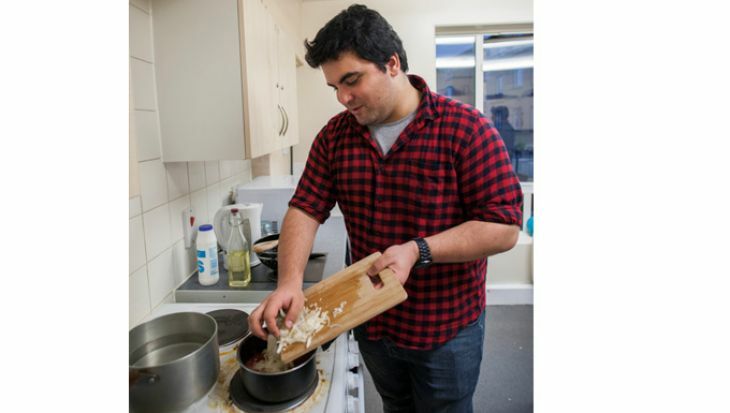 You must have been ordinarily resident in the UK for three years at the beginning of the year when your course starts and have full settled status. Entry onto this course requires an interview and skills tests. Our admission team will contact you within four weeks of your UCAS application to inform you whether you have been shortlisted. If your application is successfully shortlisted, you will be invited to attend a Maths and English test at our Hendon campus. These tests are compulsory even if you meet our Maths and English GCSE application requirements. If you pass these tests, you will be invited to attend an interview and if you are successful at interview, you will then be offered a place on the course subject to academic, health and DBS requirements. Please view a more detailed summary of what you should expect throughout the application process. You must have competence in English language to study with us. The most commonly accepted evidence of English language ability is IELTS 7.0 (with minimum 7.0 in all components). Visit our English language requirements page for a full list of accepted tests and qualifications. If you don't meet our minimum English language requirements, we offer an intensive pre-sessional English course. Please apply via UCAS using this course’s UCAS code B740. From September 2017, new students in England studying pre-registration nursing and midwifery courses will have access to the standard student support package of tuition fee loans and support for living costs. This replaces the NHS bursaries and tuition funding by Health Education England. For more information on funding arrangements for studying nursing and midwifery pre-registration courses and what it means for you, visit The Funding Clinic website. How can the BSc Nursing (Adult) support your career? Employment prospects in the nursing field are excellent with almost 90% of our nursing students being in graduate level employment six months after graduation. In addition, salaries are good with our 2012 graduates averaging £36k per annum. Nursing is a flexible and varied career which you can shape to suit your ambitions. There are many well-paid nursing roles within both the NHS and private sector. The skills you will formulate in your studies with us may support you to quickly progress up the nursing career ladder. On successful completion of the programme students are eligible to enter the professional register for nursing. You will also receive career guidance from your professional development tutor. Nursing is a profession requiring shift work throughout the 24 hour period. Duty rotas will reflect this and will include early, late, night, weekend and bank holiday shift patterns. 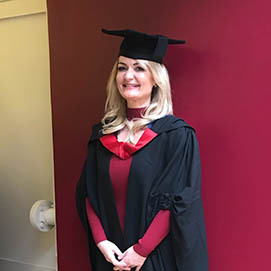 Our nursing graduates have gone on to work in roles including nurse, health co-ordinator, ITU critical care specialist,ward manager and ward sister, in hospitals including: North Middlesex, Whittington, UCL, Ealing, Royal London, Princess Alexandra, and Royal Free. The Nursing and Midwifery Council (NMC) works with partner organisations to set and maintain high standards of nursing and midwifery education across the UK. The NMC sets standards, guidance and requirements for nursing and midwifery programmes of education across the UK. Our BSc Nursing (Adult field) course has been approved and monitored by the NMC. This means the course is professionally recognised for being of the highest quality, focused on developing the knowledge and skills that employers require. 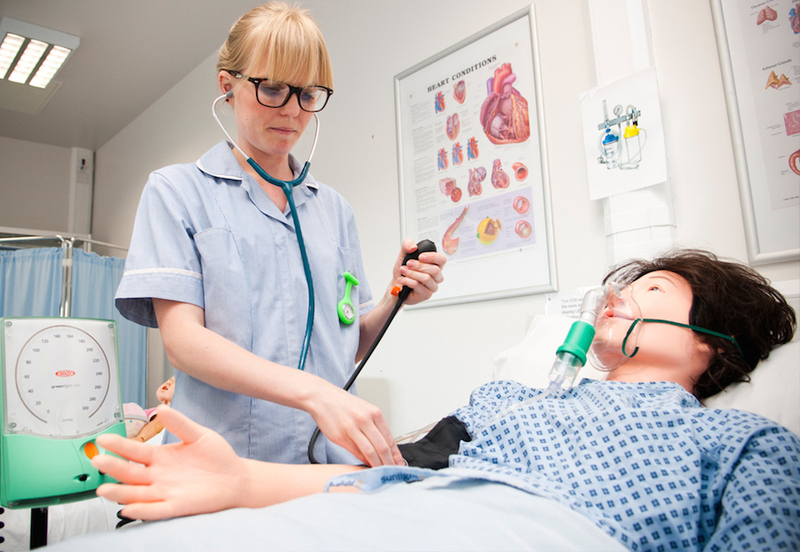 Our high-tech nursing and midwifery simulation suites will equip you with the knowledge and skills needed for your workplace. You’ll have access to excellent placement opportunities through our partner trusts. Margaret Herlihy is a Senior Lecturer in adult nursing. She has a specific interest in renal and transplantation nursing and worked in this field prior to moving to nurse education in 1998. She has a breadth of experience teaching nurses both pre and post-registration. "I had to defer my third year as I have son with complex needs who was seriously ill in hospital. Middlesex has been absolutely amazing. Now I'm back at uni, they've done everything they can to help me keep going, like making sure my placements are based near to my home, and being flexible when I've had to take time out for my son's hospital appointments. My tutors have been so encouraging and positive about my work too. My advice for new students would be that if you have an issue, always speak up as Middlesex will do everything they can to support you. I gain so much from the group of friends I've made on my course too. You go through your journey together and support each other. There's a real mix of people studying adult nursing – from eighteen year-olds who've come straight from A Levels to people in their 40s and older, like me. Some are new to the field, others are health care assistants stepping up to do nursing. They all have a lot of experience you can learn from." 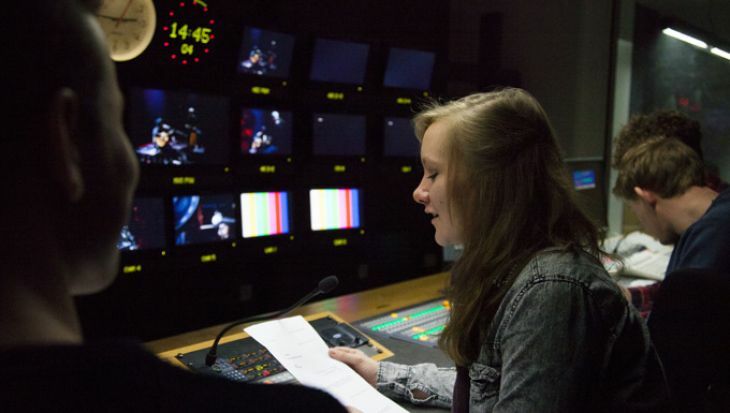 Read more about Lisa's experience at MDX. 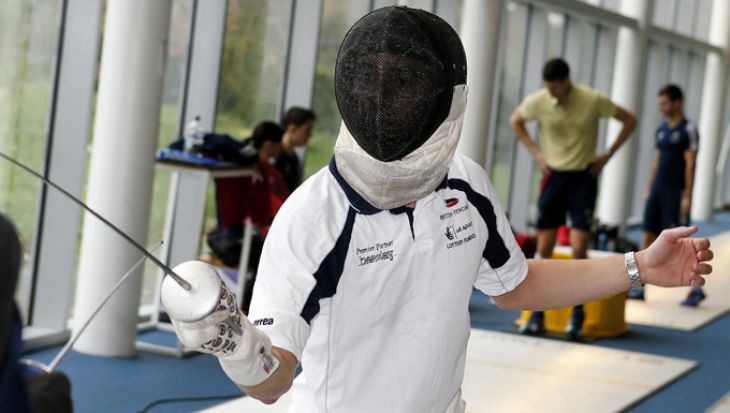 “What I liked most about the course was gaining new knowledge in a field I love. The tutors had a wealth of experience and knowledge to share with us. I loved every placement. This was the time to learn new skills, link your theory with practice, assist the nurses and show them how valuable you are as a team player. I was chosen as Middlesex’s Student Nurse of the Year. I was shocked but very humbled. I committed myself fully for three years to my study in order to be the best possible nurse I can be. When I came for the open day at Middlesex I felt so welcomed and at ease. 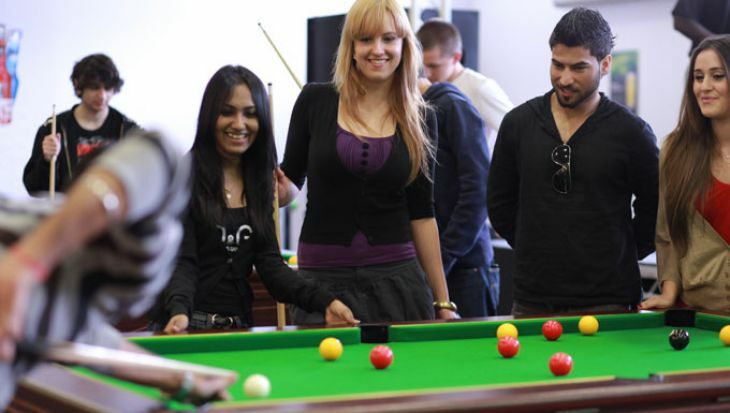 It's given me everything I wanted - great friends, great student life, a sociable atmosphere that welcomes everyone from all backgrounds and a great education too. I absolutely love my course. We get to do a range of placements in various areas, such as A & E, theatres and medical wards, as well as opportunities to study abroad – with academic and financial support from the University. The tutors are more like our friends – they understand and support us. It's amazing how much they do for us. I've studied in across the UK, and some of the best lecturers I've ever come across have been at Middlesex. I've been so fortunate to have such brilliant, experienced, talented lecturers that have a passion to teach– it makes learning so much more enjoyable. I'm proud of choosing a nursing degree, and I'm proud of being a Middlesex student.